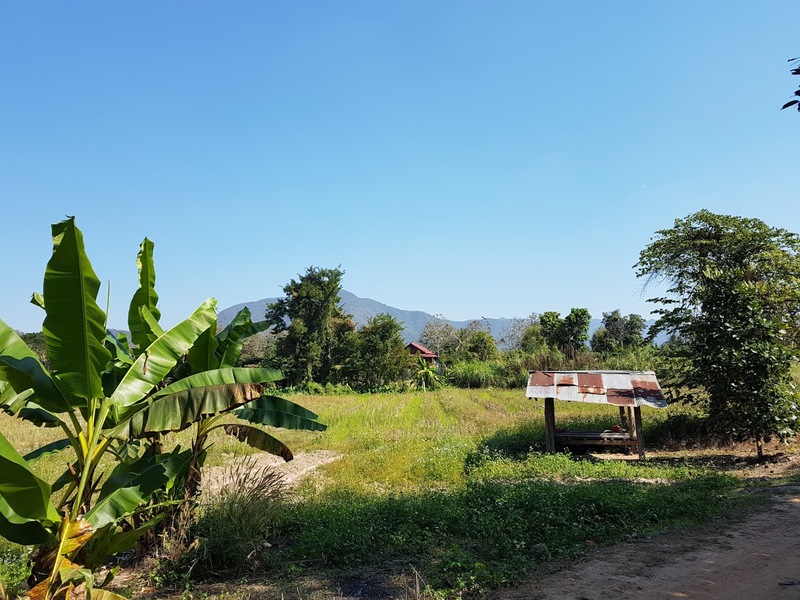 My report on this year’s adobe building workshop in Thailand reveals what appears to have been a blueprint for my current life and leads me into another adventure. In 2008 I had been hungry to find a Thailand I knew my relatives couldn’t show me. One that more matched my values than the proliferation of shopping malls that Bangkok was becoming. So I joined a tour and embarked on a road trip to the north eastern provinces in the back of a truck farmer style, sleeping in rustic home built huts and using squat toilets exclusively. The tour was of organic farms that practiced sustainable methods and the new earthen buildings known as Baan Din (House of Earth). The leaders of the tour were Jo Jandai the founder of the adobe building movement in Thailand and his American wife Peggy plus their son Tan who was maybe five at the time. 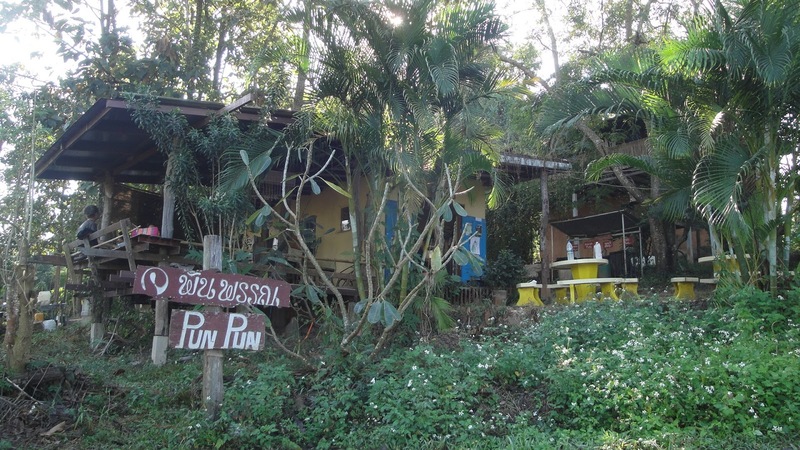 The final destination was Pun Pun a small farm in the hills where Jo and Peggy had created an educational center to teach the skills of sustainable living. In this first phase of Pun Pun the people they attracted had built all manner of natural structures so that it had a whimsical rainbow festival feel to it. One man from Holland had built a circular house on stilts that was open from the waist up. Another from the States was in the midst of setting up a giant filtering system made from stacks of concrete culverts filled with sand, gravel and charcoal. He lived in a tiny adobe house with a roof thatched with coconut fronds. It was big enough for a desk and a loft bed. I recognized it as all I would need myself. Other innovations I was introduced to at Pun Pun included toilets that flushed with water into a compost pit, a pee toilet to collect urine for use as a nitrogen source in the garden, soap making, oyster mushroom cultivation and the fermenting of fruit waste to make effective microorganisms for what I didn’t quite understand. Several of these ideas I would later incorporate into my tiny house (including the microorganisms which I now knew to call Bokashi). At the last build I had attended two years ago our yoga teacher announced one morning that she had just drank her own pee. I looked at her curiously as the remembrance of the taste crossed her face with an expression that told me it was not altogether pleasant but doable. Jo had been teaching about drinking your own pee as a remedy when you were sick and to recapture substances the body made such as melatonin. Well, if Jo was doing it there must be some merit to it I thought. On this trip I would learn that pee could also be used to treat cuts and skin abrasions too. Urea is, after all, an ingredient in plenty of high end body lotions. I tucked all this away in my alternative medicine chest. So much did I trust all that I learned through Pun Pun. Since that first trip with Pun Pun I tried to make it to the women's build every year as an investment into what I called my mud hut sisters network. Anyone who would come all the way to Chiang Mai to build a house from mud was my kind of person. At the last build I had made enough friends to visit from California to Portland. Others had become my circle of friends in Bangkok. Last year I connected with two who came to the Bay Area from Australia and China respectively. It was an hour and a half’s ride from the city of Chiengmai to Pun Pun by taxi truck. As we pulled up I spotted a gathering of patrons hanging out at what looked like a coffee shop. Was Pun Pun now a resort I wondered? The coffee shop was indeed a new enterprise since I’d been there and it gave the farm a destination feel to it. Inside there were baked goods, herbal farm products, bars of scented soaps and books many of them by Jo—his personal story about returning to his family farm and learning to build with adobe, his experience as a father and even his love life. Too bad all were in Thai. A quick look around showed me that almost none of the original buildings were left. They had been replaced after being eaten by termites. Much had been learned in the process and the new buildings had a more permanent and finished look. It was unusually cold out. So cold that we were all bundled up in coats and hats as though we were at the arctic and there had also been unseasonal storms. Climate change was afoot. At a nearby mud pit at the end of our tour of the farm we were persuaded to doff our coats and shoes and start stomping the mud. When everyone was in I felt the fun had finally begun. I put my arms around the shoulders of women on either side of me and started chanting monosyllables as a spontaneous expression of group bonding. Nobody joined in though It made Ailsa the 10 year old girl resident of Pun Pun look up at me curiously. We had met before. She was a mirror for me sharing with me similar skin tone, dark hair and Asian features. We had worked together two years ago when she joined us for her first build gamely lugging bricks and climbing scaffolding for the entire ten days. Her Scottish mother Lisa was one of our instructors. Her father was from Burma. The continuity of seeing her tugged at me. I was ten years old when I left Thailand and so much that I called home, but couldn’t put into words. My memories were somehow embodied in the mud. Mud that in my childhood the local children had taught me to roll into marble size balls with which to play games squatting on our heels on the hard packed dirt. The house we were set to build this year was a few kilometers down the road from Pun Pun at a site that would be the next phase of their educational center. Peggy’s brother had already built the first adobe structure which could be seen from the road waiting a final coat of plaster and earth based paint. The house we were building was behind it deeper into the compound. It would be Peggy and Jo’s house away from the bustle of the Pun Pun farm. We could see it as we approached. The concrete foundation perched on the edge of a large pond. There were pilings in the water where a pier would be built. It would be two stories high and had a compact footprint with a covered outdoor barbecue area. There were also iron beams instead of wood ones since wood now cost the same as iron. One of the reclaimed doors had a window put into it an unusual feature in Thailand. The house itself had a modern look to it. After brief instruction our team set to carrying buckets of mud from the mud pit. We then formed a long line to pass the dried bricks that had already been made — with a mixture of mud and rice husk poured into wooden forms. I loved this brick passing line that would only really work if you had a large group of people. It embodied the sense of community I was after. Withe bricks stacked inside we began building the walls in earnest. A few days into the build just as we were coming to the top of the walls, we finished up early so we could drive to the Cat Lady’s house. 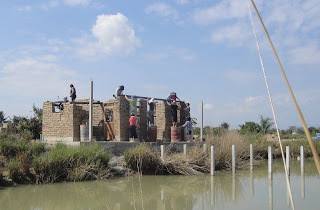 This was a woman who lived in an adobe house a team had helped her build in a little village between two rice fields. We sat on the lawn in her vegetable garden as she told us how everyone thought she was crazy to leave Bangkok and come out here to live. “If I hadn’t left Bangkok I would have died,” she said dramatically. I could understand where she was coming from. She had bought herself a little plot of land just off the road in this village. The house was outfitted with a large outdoor cat cage of cyclone fencing connected to the house with a cat run alongside the top of the wall that let the cats in through the bathroom window. Next to the house a large outdoor kitchen with wood slat walls sat next to the house and behind it the garage. At the bottom of the garden was a guest house; those relatives who had thought she was crazy now liked to visit, but she didn’t want them in the house stepping on the cats’ tails. As she told her story she mentioned that city people under 50 years of age were the most afraid of the country. This detail stuck in my mind for it put words to my own despair that the younger generations of my Bangkok family no longer valued the natural environment or even connected with it so enclosed were they in cars and air-conditioning. I asked the Cat Lady how she got the idea to come to the country. She said it was through her government job that she was sent out to the country and she could see for herself that the people enjoyed a better quality of life. Her story was both inspiring and odd so focused was it on the cats who were famous and had a following on Facebook. It was a rich lady’s story I sensed since she likely had investments that had allowed her to buy the farm. She grew food just for herself and any visitors. “They should have told us how the guest house could be an income,” said Clasina who would later become a pivotal figure in my story. We were riding home in the back of one of the pick-ups together. I too had ideas on how to improve her homestead. 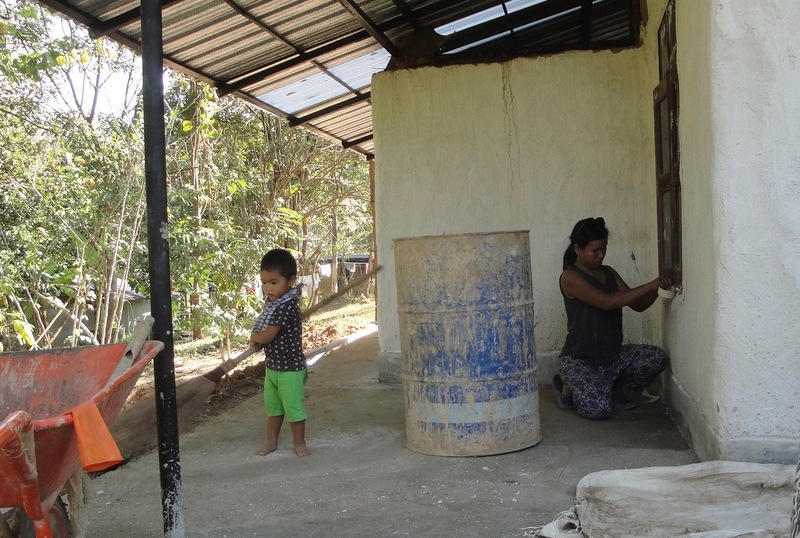 She had talked of wanting to improve the fertility of her soil yet she was flushing away a perfectly good source of nutrients that could have been had with a composting toilet. “She’s just a crazy cat lady,” I said, “she didn’t need an income.” And like most urbanites the world over she likely had never considered digging her composted poop into the garden that would then grow food. Even Jo said people just couldn’t seem to get their minds around it and Pun Pun put their composted poop on fruit trees only. The cat lady’s observation of Bangkok people haunted me. I was left asking myself why were city people afraid of the country? I knew it had to do with the rapid growth of Bangkok since the ’80s. It was true that we who were over 50 grew up in a Bangkok that still had a relationship with nature living in houses that were not air conditioned with large gardens to play in. Plus TV was only broadcast in the evenings and of course there were no smart phone driven media and games. Now city people flocked to the indoor shopping malls and spent their leisure time inside these hyper stimulating artificial environments to get away from the heat and polluted air. With food courts and entertainment the malls contained everything they could want. In 2017 the photo site Instagram reported that out of the the entire world the location where people uploaded the most pictures that year was from the Siam Paragon mall. People taking selfies with the latest status car or some perky pop art display I guessed. I could see the allure of these entertaining malls, but going into one made me feel like I was in an aquarium with limited air in my tank so much did I want to get away from the materialistic displays. The two children who lived at my old house were rarely outside even when their cousins came over to play; they preferred playing games on the large screen TV. How could I relate to children who did not play outside? An entire generation lost to artificial indoor environments I lamented. 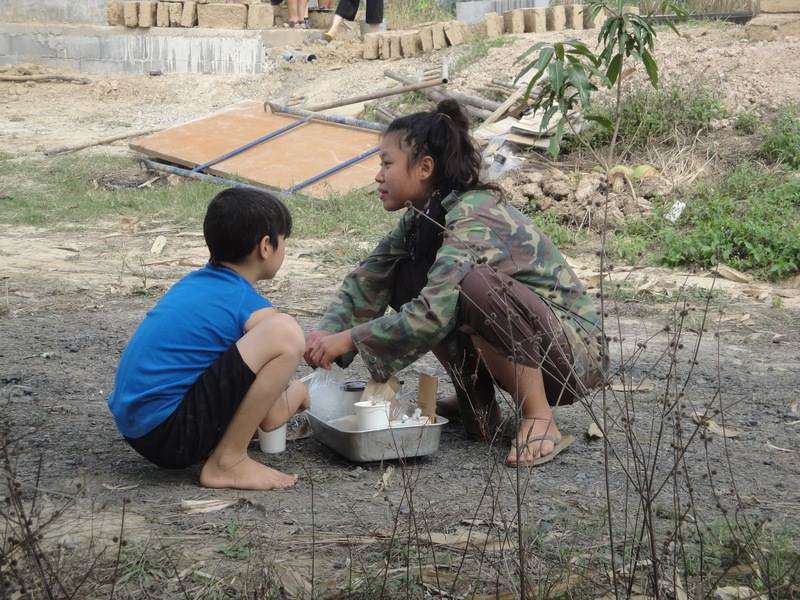 When I talked to Peggy about it she confirmed that when Bangkok children came to Pun Pun they were afraid of everything and were also clumsy, falling a lot on the unpaved ground; they were so unused to walking on natural terrain. And I could see she didn’t like to say it, but they were also already trained to feel the entitlement of their class and so refused to do things they thought beneath them like washing their own dishes. This annoyed me even more so much did it resonate from my observations. My dismay sapped my strength and I looked for support. I had on the first day introduced myself to Robyn from Australia who was older than me (by a large margin she said). At the end of a day of building I saw her sitting on the sidelines and I joined her. “Tired”, she asked me. I told her of my despair at my family making me tired. How I didn’t understand their motives. She sympathized and waited until I offered a strategy to cope with it encouraging me in this positive direction. I felt fortified just from being understood. Robyn had come to the build with a younger woman she referred to as her daughter which further intrigued me when I met Meredith with her butch haircut. Later I would learn that they were not actually blood related which made me curious how Robyn constructed her world. She referred to a partner too disabled to travel. During our chats she told me about her chosen family of daughters in various countries. I was intrigued by this concept. How did one acquire daughters in this manner? Was there a formal bonding ritual? But I did not have the words to ask her at the time. Just the glimmer of an idea that you could create a chosen family. I took refuge in life at Pun Pun. There were many working volunteers to talk to who came from all over the world with similar desires to heal the earth. I tried out the solar shower and favored the squat toilets in their own adobe building in a central location. (Throne toilets were now offered on the other side.) The guest houses did not have toilets so it was a bit of a walk in the middle of the night. I found I did not need my flashlight as there were floodlights shining from various buildings. The paths were well worn and packed down under my sandals. There was only one part of it that was completely in the dark as it crossed a road. As I walked into the dark part I had the strange sensation that my feet could see. This made me curiously happy. For to be so sure footed was a comforting feeling as one gets older. The small children who lived at Pun Pun were also sure footed and agile. They enjoyed a free range existence with few toys. They picked up tools as toddlers and learned to use them as they wandered into our work area. They participated in projects and were sweet to each other. It comforted me a great deal to see teenage boys helping out. Tan now taller than his parents was quiet, confident and free from that cockiness and attitude that marked teen boys I knew in the West. He recognized me and we just smiled at each other across the dining hall too shy to speak. On an outing to visit other Adobe buildings I was touched to see Elsa holding the hand of her big brother Jack who towered over her. I could not remember seeing even one example of such sibling affection in the US. We took our shoes off Thai style as we entered the guest houses and the dining hall. The tables we ate at were low to the ground so we could sit on floor cushions thus avoiding the need for chairs. This spared us the noise of them scraping on the floor. There were a couple of picnic tables with benches at one end for those not able to sit on the floor. This furniture free life agreed with me, with my childhood sitting on the polished wood floors of Thai homes. My study of biomechanics and how the body needs a variety of movement had long shown me that you pay a price for the use of furniture with the diminishment of range of motion which led to diminishment of function of the joints. The Asian squat long seen as somehow primitive and feral had been exonerated by biomechanists as vital for proper elimination. The creative marketing of the Squatty Potty having driven this point home on Facebook. There were no comfy chairs in this low furniture life. The beds were hard too being nothing more than a 3 inch chip foam block. (Chip foam is what we put under carpets.) This hardness was better for the body I had read in a medical article. For while sleeping the body moves in such a way as to adjust itself, realigning bones back to their optimum position. And then I remembered how I had trained my feet to see. After reading Katy Bowman’s book on foot health I had laid a path of loose river rocks outside my tiny house so I could force the bones in my feet to be pushed around as she recommended. The path also allowed me to walk to my freezer in stocking feet. Six months of this had given my feet new found skills evaluating unstable ground. This was what had given me the sensation of innate knowledge, of “seeing”. Shoes, especially well padded shoes with all kinds of support, robbed the feet of the opportunity to gain muscle strength. Too ironic that the more we have sought comfort the worse off we made ourselves. Still I piled on three blankets to ward off the cold temperatures of this climate change era. When my roommate from Taiwan asked why there was no glass in the windows in the hall where we did yoga I told her no one thought it would ever be this cold in Thailand. So we wore our jackets to yoga. My reading on health had further taken me on a tour of our personal micro biome. How the bacteria inside our guts provided services — everything from synthesizing melatonin to affecting our moods. These beneficial and some not so beneficial bacteria lived in the colon. One of the residents who had also just discovered the microbiome herself showed me a root vegetable she had bought in the village called the Yacon which would make it all the way through our digestive system to the colon. We were certainly enjoying such fibrous foods with the vegetable focused meals that came out of the semi outdoor kitchen. Meals made from scratch much of it from the garden. Not a tin can could be seen in this kitchen. My body responded to this non-material, non-artificial environment. If my relatives could not appreciate this it was their loss. One morning I woke up feeling renewed and happy. Pun Pun had worked its magic on me. On the last day I said goodbye to Ailsa, not knowing when I’d make it back again or if I was up to another build so tired had I felt. And perhaps the builds didn’t need me anymore now that they were so well attended. 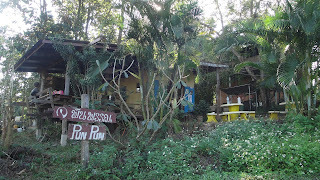 The movement to teach sustainable living techniques had matured since Pun Pun established itself. Now there were some 80 such groups and outfits teaching permaculture farming and natural building methods in Thailand alone. The movement was maturing and the participants reflected this change. Unlike those who attended in previous years looking for something different to do these woman struck me as serious about actually building a house for themselves. Yilin my roommate from Taiwan had moved to an island resort she had loved as a child and had run tours both on bicycles and by kayak. She was now looking for ways to help the locals make a living that would preserve their way of life. 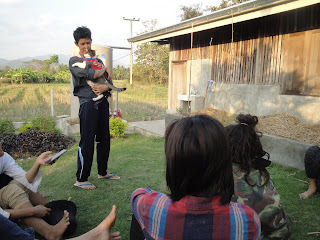 Two Thai cousins already had a garden and were interested in permaculture. Syri, a Japanese woman who had trained as a chef, had her grandparents farm to return to. A young Thai woman grew micro greens on her balcony in Bangkok and sold them at a farmer’s market. 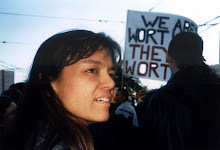 And then there was Clasina, a South African woman (married to a Thai) actively looking for land to make a food forest. I had enjoyed her enthusiasm and bubbly spirit. When I got back to Bangkok my cousin was eager to meet with me to make me an offer for my share of a piece of land the family owned where we had had a factory to assemble Venetian blinds. Her offer was enough to warrant my attention, though my stepmother believed it could sell for eight times that value. But all over Bangkok family land lay locked up in such disputes and what good was that? I didn’t want to be similarly waylaid. So I accepted the offer and she took me to the bank and gave me an envelope of cash so I could feel my money she said and get used to this new wealth. It did stir in me many new thoughts. 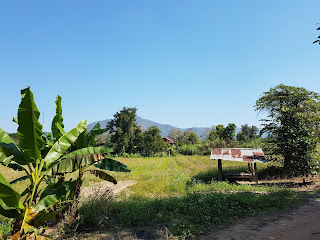 I had no real need for things, but with this new wealth I had enough to buy land, not in Bangkok of course but outside of the city, a farm even. And then bam it hit me I already knew someone with just such a plan. I messaged Clasina asking how much was this farm. I hadn’t been paying attention, but she had indeed been looking at a farm she wanted to buy. She sent me a picture of it. There were mountains in the background as she wanted and in the foreground a banana tree and a structure with a corrugated tin roof. The tin roof was my personal symbol of Thailand before globalization. I had used this same material in my tiny house to remind me of this humble past. It captured something this picture; something I longed for. In American dollars it was a mere $64,000; it had sounded so out of reach in Thai baht at 2 million. How perfect that Clasina lived near my family home in Bangkok. She tutored English for a living and was planning to eventually live on such a farm having collected a garden full of potted fruit trees. I couldn’t yet move to Thailand for some time if indeed that was my future, but I could have the fun of planning it with her and returning to work on it. It would give me a reason to visit and keep up my family ties and network of friends in Thailand. My family and friends grasped this immediately and supported the plan. In short order Clasina and I were discussing land deeds and survey maps through Facebook messenger. I committed to returning in July to buy it. I was overjoyed to have a farm with so many friends already living in the area. My mud hut sisters network was entering a new dimension of possibilities. Some wanted to come and do a build with us even. I was excited by all the new things I would learn and do. My mind expanded to take in this new reality and was nurtured by it. My world so much larger now and made more whole.